In this unprecedented work, the story of the 1974 Bridgeport, Connecticut poltergeist is at last revealed. A crowd of more than 2,000 onlookers gathered. National media reported jumping furniture, floating refrigerators, and attacking entities. Relive the experience, the terror, the rampant emotions, and the unexplainable events that took place in that house as they happened. Have access to revealing excerpts from actual interviews, police reports, and rare documents. Access unreleased audio, poltergeist sounds, and an old radio broadcast. Return to 1974 and feel the Lindley Street experience from the inside. Find out why it is deemed the haunting that should have brought the paranormal into mainstream science. William J. 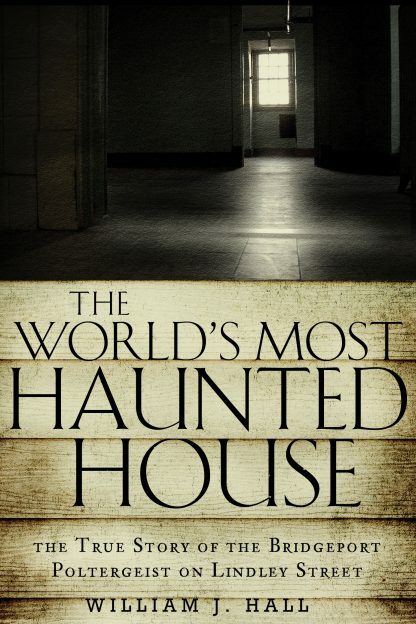 Hall, author of the paranormal bestseller The World's Most Haunted House and The Haunted House Diaries, is an experienced researcher of the unexplained, from folklore and urban legend to fortune-telling, the pyramids, and other mysterious tales. He has been interviewed around the world and his syndicated column "Magic and the Unknown" ran for 6 years in multiple newspapers. Hall has two sons and resides in Plainville, Connecticut.